Written by LindseyReilly. March 18, 2014. Try to think of a piece of technology you own that doesn’t need to be charged. If you’re going green and have a bit of cash to spend, this XD Modo solar charger will surely come in handy and reduce your electric bill. Sure, it costs about $70, but it'll make up for the cost of your electricity. Just stick it on your window and wait for it to soak up some rays. You can even stick it on the window of your car, or the bus on your way to work. After reading some reviews, it would seem this product isn't for everyone, but that's to be expected with any gadget. It's much pricier than almost every other phone charger; and you might not have a good window to attach it to. But, of course, the price range is for someone who wants a bit of a luxury, or someone looking to buy a nice gift. 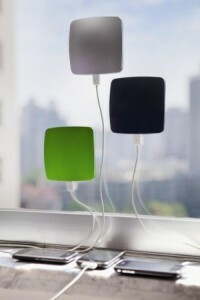 Personally, if I had the extra money, I'd love to buy this solar charger. It's sleek, stylish, and good for the environment. Interested in setting this up? Our tech team is up for the task. We can also help you with any other tech problems you have. 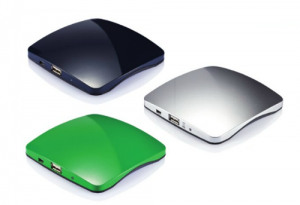 Tags: computer charger, gadget, phone charger, solar charger, stylish phone charger, technology.